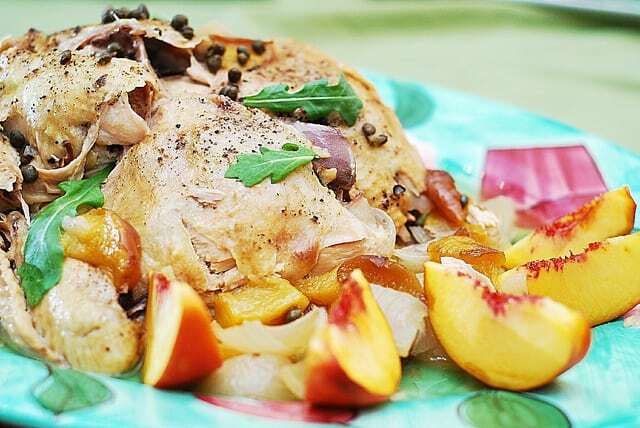 Whole chicken, peaches, capers and white wine are combined together and cooked for several hours in a slower cooker to produce an amazing mix of flavors! This recipe uses slow cooker, which always minimizes the mess in the kitchen and for that, I love my slow cooker. This is one of the easiest recipes ever and also one of the best slow cooker whole chicken dishes I have had in my life. 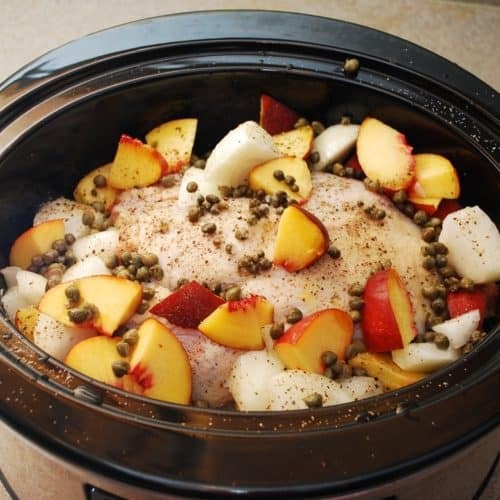 What makes this slow cooker whole chicken recipe so special is that when chicken, peaches, capers and wine are combined together in a slower cooker for several hours, they produce some amazing mix of flavors. The resulting chicken is moist and tender, both white meat and dark meat are cooked evenly, and both chicken thighs and breasts are juicy. What more can you ask for in a chicken? The resulting flavor is both intricate and simple. 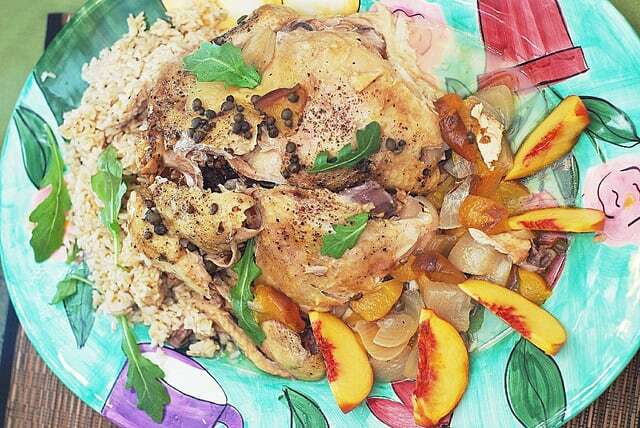 Coupled with rice and presented on a big platter, this slow cooker whole chicken with peaches and capers belongs to be served at the French brasserie. And you would never guess how little effort went into preparing it. I love, love this recipe, and I have made it multiple times at home. My mother-in-law invented it, and I successfully added it to my cooking repertoire. The beautiful thing about this recipe, I’ll repeat, is that it doesn’t make any mess because you use a slow cooker: you put all ingredients in at the same time, set the timer and wait until it’s done. No mess in the kitchen. 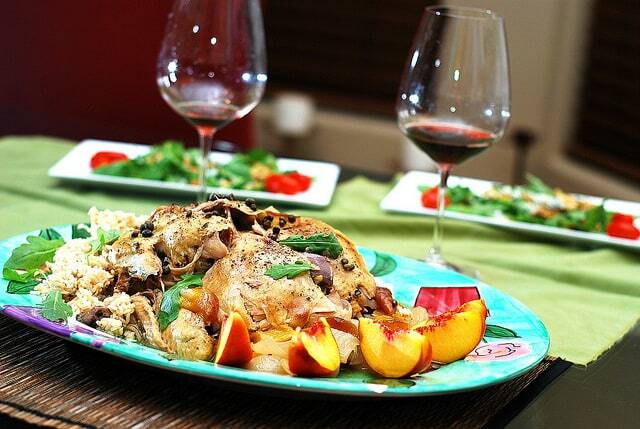 To serve, place whole chicken on a large platter, surrounding with cooked peach and onion slices. Put rice on the side. Pour some chicken juice from the slow cooker around chicken. Slice fresh peach and garnish around the whole chicken. Dice peaches in thick slices. Slice onion in the same way – into 8-10 large slices. 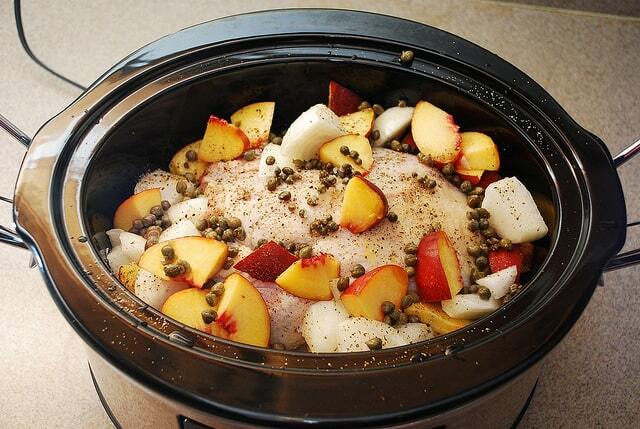 Sprinkle diced peaches and sliced onions on top of the chicken and around the sides of it in a slow cooker. Pour white wine along the sides of the slow cooker, so that white wine just goes straight to the bottom. Generously sprinkle salt and pepper on top of the chicken and on top sides of sliced peaches, onions slices. Sprinkle capers on top of the chicken and sliced peaches. Close with the lid and set on “LOW” setting to cook for 7 hours. Or, set it to “HIGH” setting to cook for 3 hours. 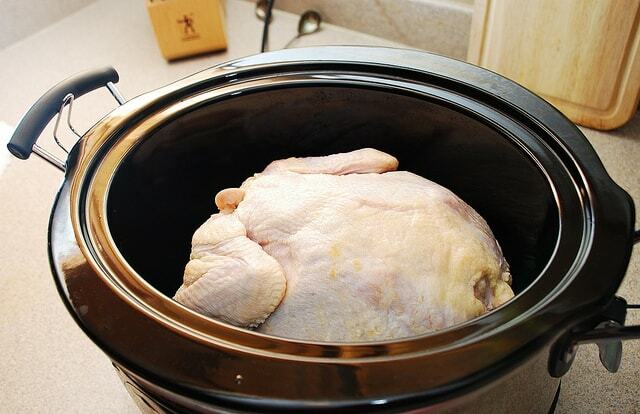 As the chicken is cooking, check your slow cooker occasionally. Depending on the size of your slow cooker, the chicken coupled with wine might produce too much liquid, in which case you occasionally pour that liquid away into a separate bowl and save it for later (to serve with chicken or use with other dishes as an "enhanced" chicken stock). I cooked this yesterday – it is absolutely divine! I simmered down the remaining sauce to thicken it a bit, and this worked really well. This is such an easy dish, and easily worthy of company and a nice bottle of white wine! Thank you! This looks great! I have a 3 qt slow cooker which seems too small for a whole chicken. Is there a way to cut this recipe down and make a half-chicken? Or two breasts? Let me know please! Hi Sophie, you should be safe to cut the recipe in half if using only half a chicken or 2 breasts. Just reduce all ingredients in half. I was wondering if you could use frozen sliced peaches (thawed) since it is not peach season? Would be great if I could make this on a cold snowy day. This looks incredible! But I don’t drink wine or any alcohol for that matter. Could I replace the wine in this recipe with something else? Thank you. Water, white grape juice, or apple juice will all work fine in place of white wine here. Because chicken is slow-cooked, it won’t make that much difference. Capers did not taste salty, peaches were not sweet after this many hours of cooking – all flavors sort of blended into one. This is amazing. 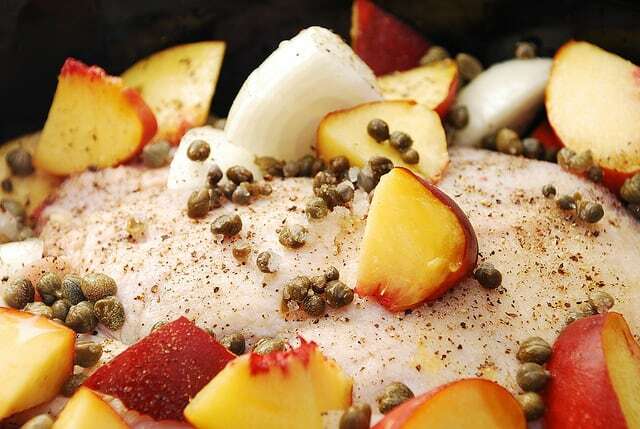 I love the combination of capers and peaches that you used. This must’ve have been such an amazing mix of flavour. And it looks so beautiful and delicious! Thanks for visiting! Yes, the broth from wine, capers, peaches and chicken was quite flavorful, as well as the chicken meat itself. 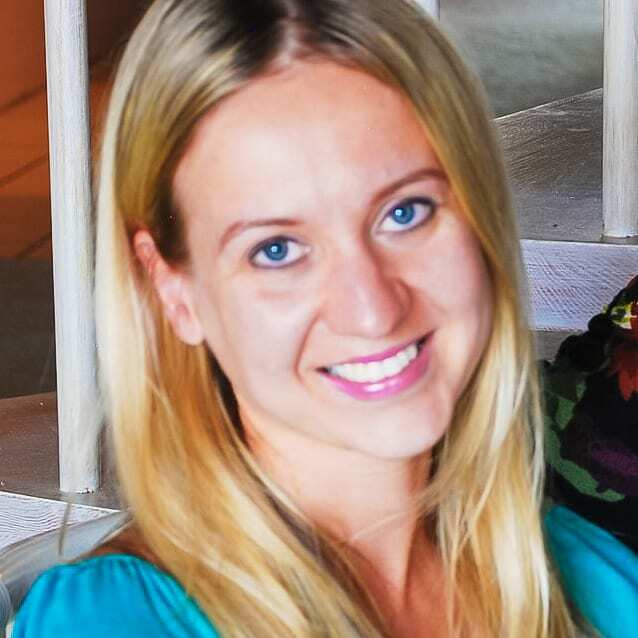 I love your site’s name – it’s very original. I have never cooked a whole chicken in a crock pot before. I bet the sweetness of the peaches and the saltiness of the capers really create an amazing flavor! Yes, peaches and capers work really great together in this dish. Interestingly, by the end of cooking capers do not even taste salty, and neither does the broth – the saltiness seems to be absorbed evenly by the whole dish. And peaches don’t give the dish too much sweetness either. It is a really well-balanced dish flavors-wise. Wow, this is really interesting. I never heard about cooking chicken with peaches before. (I read about cooking with grapes, though) Will this dish yield a slightly sweet flavor due to the addition of peaches? I bet it will smell great. The resulting flavor is only subtly sweet. The chicken acquires subtle fruity flavor. OMG ! This looks fantastic ! !